2. New Social and Human Problems at the New Stage in the Revolution in Science and Technology: the Need for “High Touch” Relations; Man as the Centre, Subject, and Object of Integrated Forms of Interaction among Scientific Disciplines; Scientific Cognition and Humanistic Values; a New Type of Science in the “Age of Man” Science and Ethics: an Alternative or Interdependence? Professor, Doctor of Philosophy and a Corresponding Member of the USSR Academy of Sciences, is a member of the European Society of Culture (SEC). Born in Department of Philosophy at Moscow University. From 1968 to 1977 he was Editor-in-Chief of Voprosy filosofii. He is currently Chairman of the Scientific Council of the Presidium of the Academy of Sciences of the USSR for Philosophical and Social Problems of Science and Technology. His major works include Philosiphical Problems in Contemporary Biology (1961); Essays on the Methodology of Biological Research (1965); Genetics and Dialectics (1968); Contemporary Science and Humanism (1974); Scientific Progress and the Future of Mankind (1975); Human Perspectives (1979; 1983); Global Problems and the Future of Mankind (in English, Hindi, and Finnish Progress Publishers, Moscow, 1982, 1984). 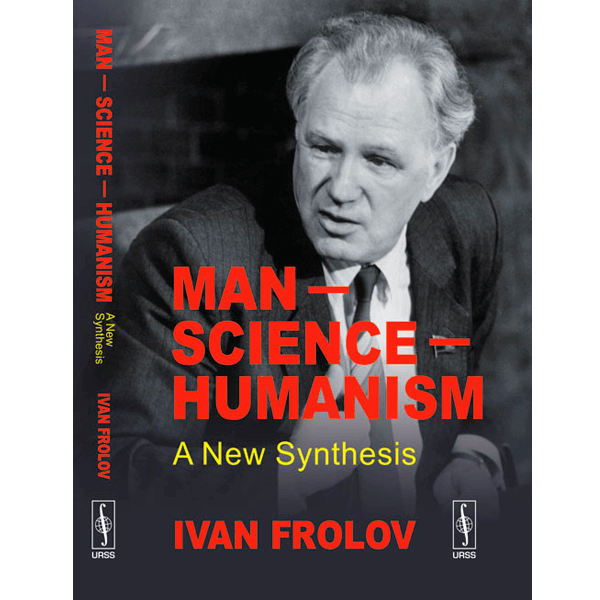 Professor Ivan Frolov, Doctor of Philosophy and a Member of the USSR Academy of Sciences, is a member of the European Society of Culture (SEC). Born in 1929, he graduated from the Department of Philosophy at Moscow University. From 1968 to 1977 he was Editor-in-Chief of the most important philosophical journal in the Soviet Union, Voprosy filosofii (Problems of Philosophy). He was named editor of Pravda, the official voice of the Communist Party and the Soviet Union’s most powerful newspaper. He was Chairman of the Scientific Council of the Presidium of the Academy of Sciences of the USSR for Philosophical and Social Problems of Science and Technology. His major works include Philosophical Problems in Contemporary Biology (1961); Essays on the Methodology of Biological Research (1965); Genetics and Dialectics (1968); Contemporary Science and Humanism (1974); Scientific Progress and the Future of Mankind (1975); Human Perspectives (1979; 1983); Global Problems and the Future of Mankind (in English, Hindi, and Finnish Progress Publishers, Moscow, 1982, 1984).